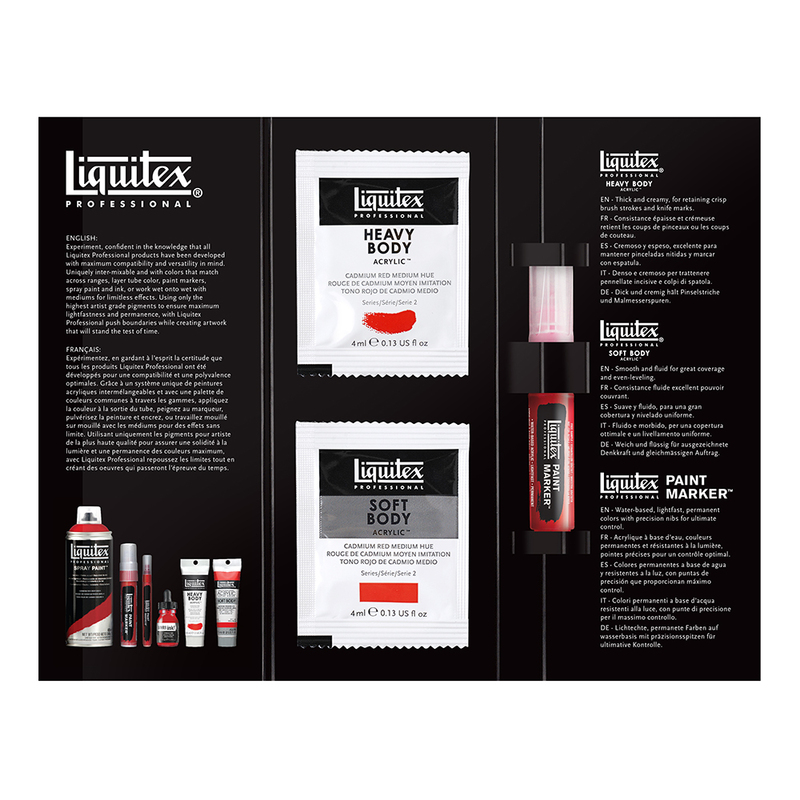 Experiment, confident in the knowledge that all Liquitex Professional products have been developed with maximum compatibility and versatility in mind. Uniquely inter-mixable and with colours that match across ranges, layer tube colour, paint markers, spray paint and ink, or work wet onto wet with mediums for limitless effects. 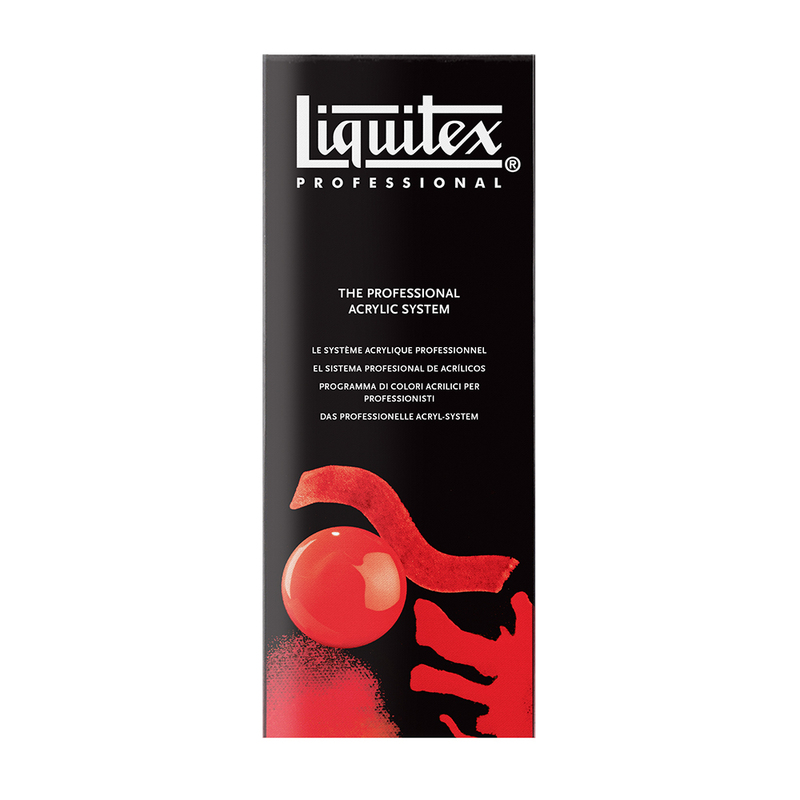 Using only the highest grade pigments to ensure maximum lightfastness and performance, with Liquitex Professional push the boundaries while creating artwork that will stand the test of time. 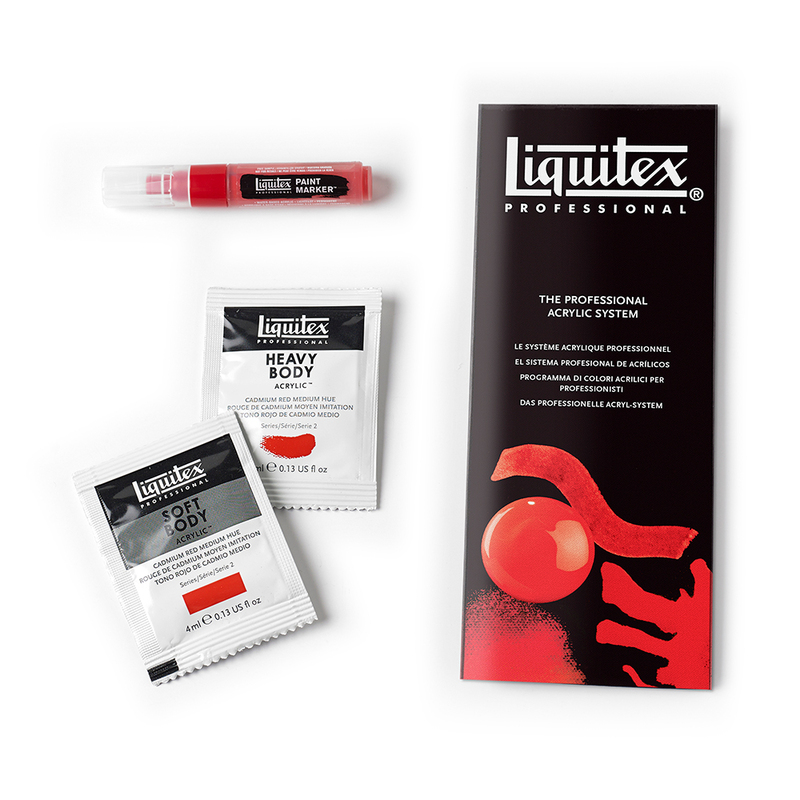 This FREE sample contains 1 x 4ml Sachet of Liquitex Soft Body paint, 1 x 4ml sachet Liquitex Heavy Body paint, 1 x Liquitex Marker Sample. All in Cadmium Red Medium Hue. 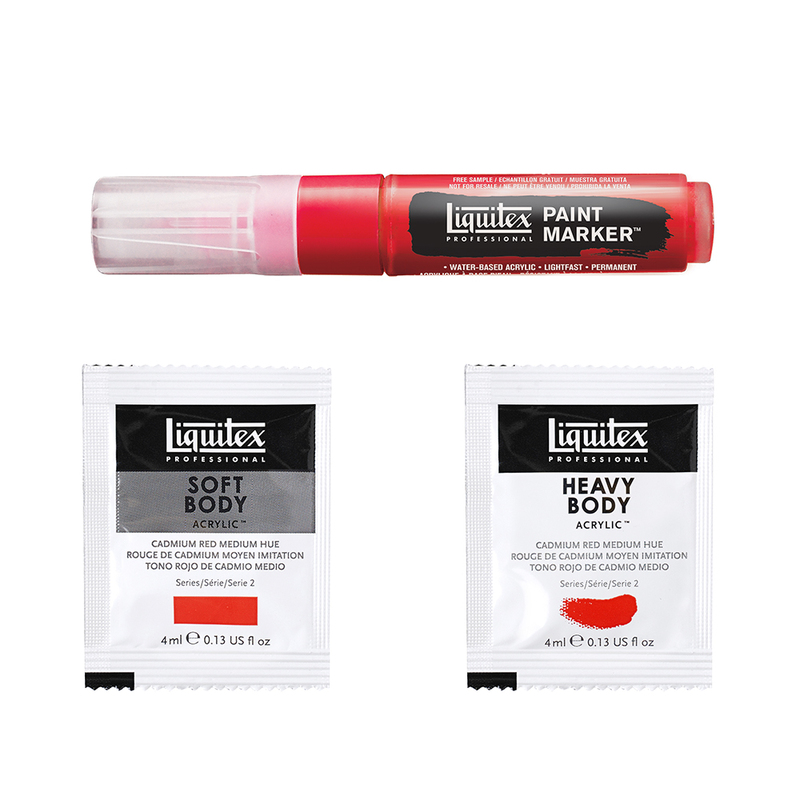 One free Paint & Marker sample per order. Must be ordered with other paid for items; free sample will not be sent out on its own. The 1p price of the samples will be deducted from paid for orders. PLEASE NOTE - Due to a limited supply of free samples, we restrict the total number of samples per order. A maximum of two different free samples can be added to your order. If more than two samples are added to your order we will delete any additional samples at our discretion.